I'll be sure and show you the book again, once it is filled! 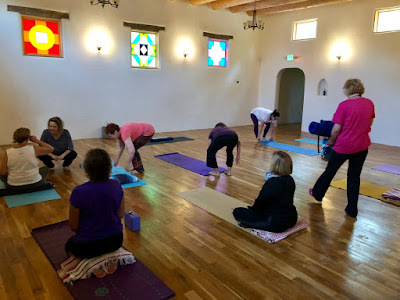 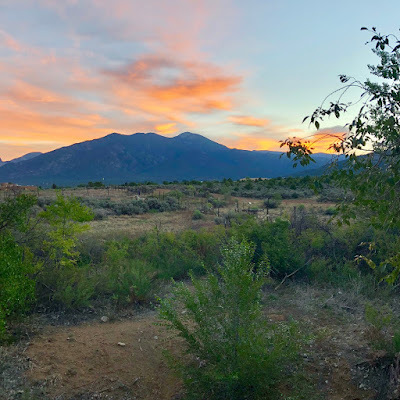 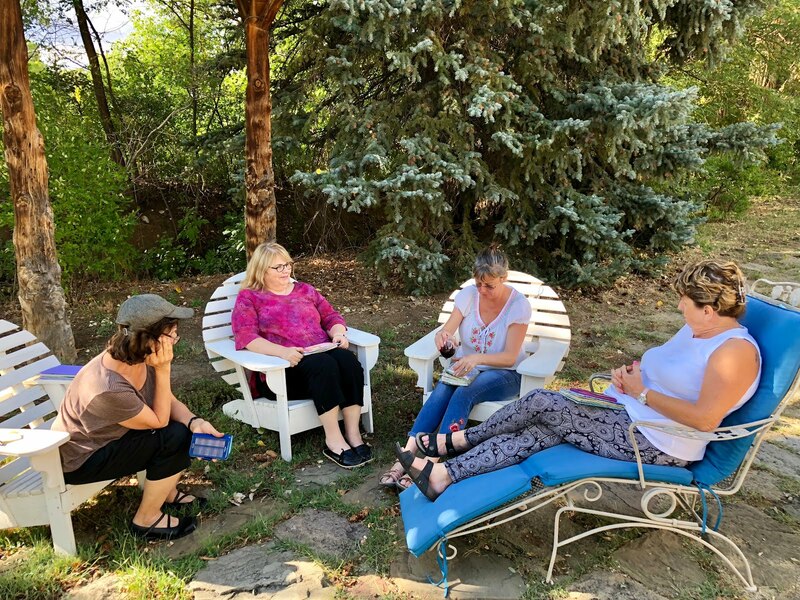 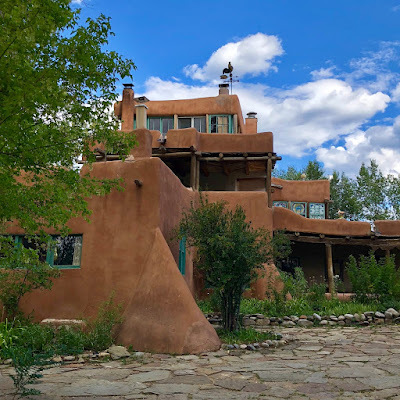 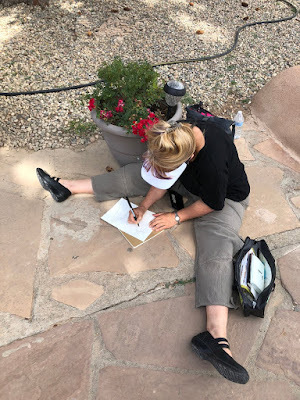 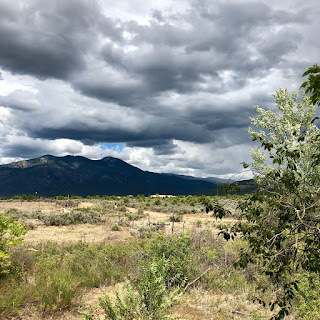 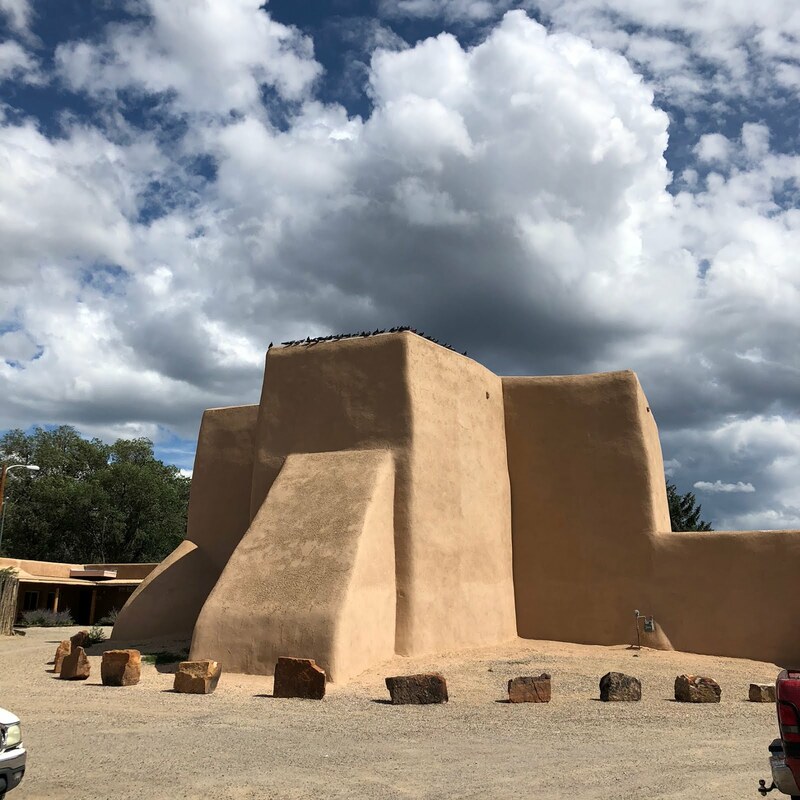 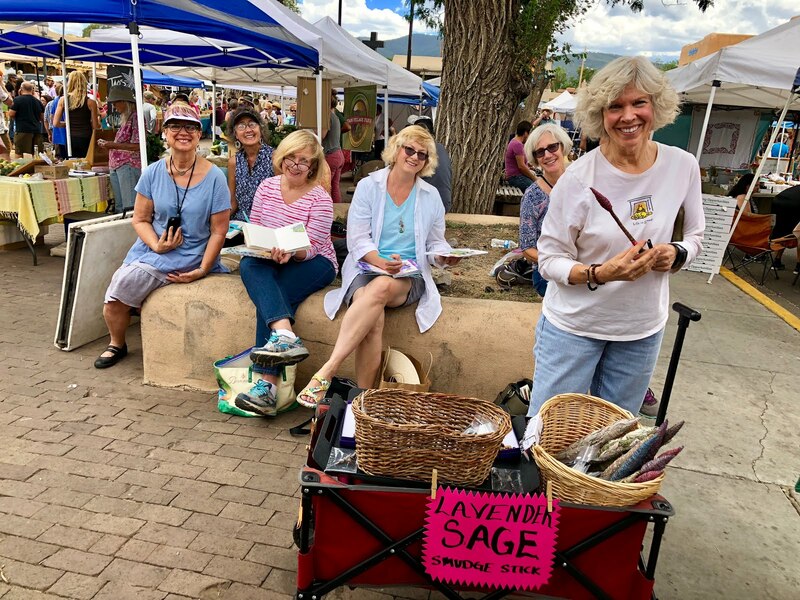 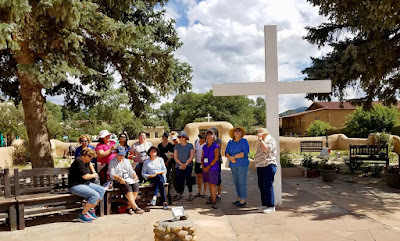 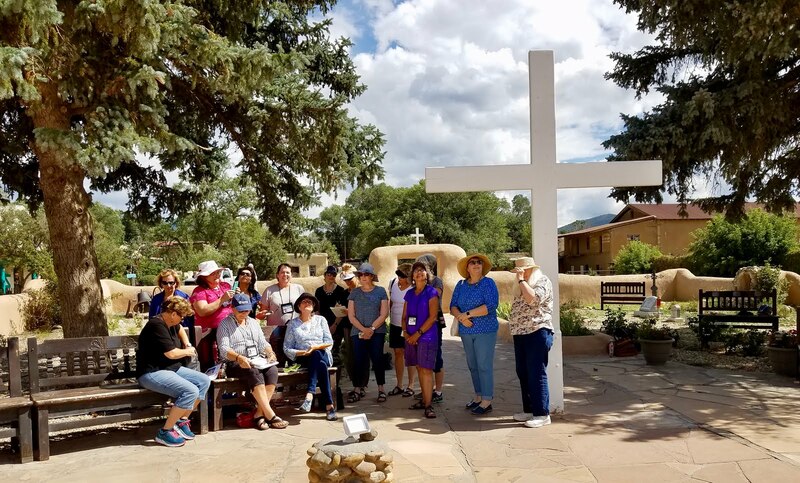 Here is a glimpse of my recent LavenderSage Art Retreat in magical Taos, New Mexico. 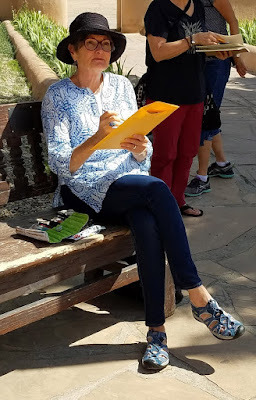 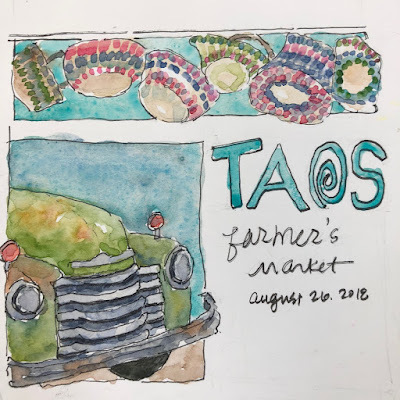 At Taos Farmers Market ~ drawing, painting and shopping on location. 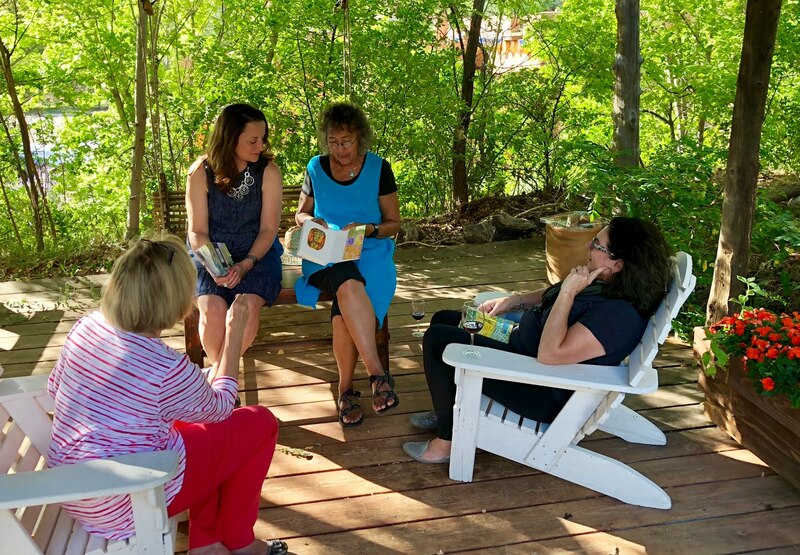 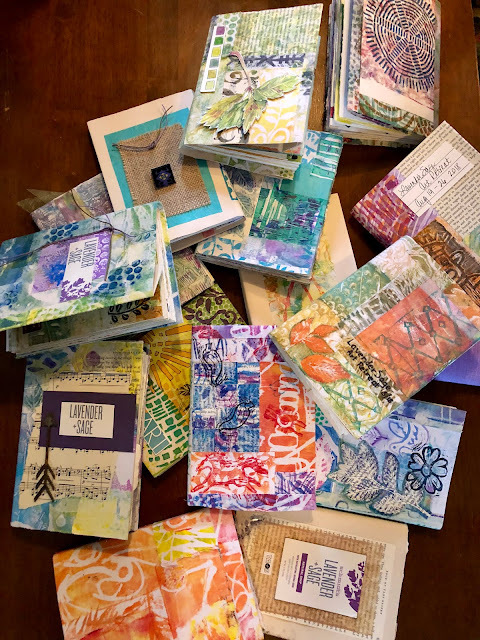 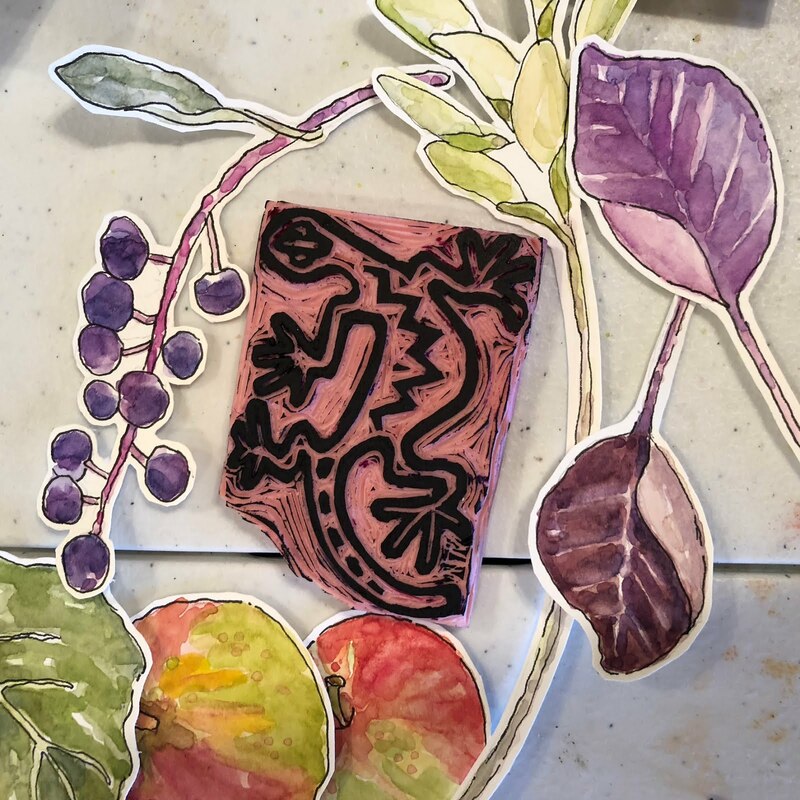 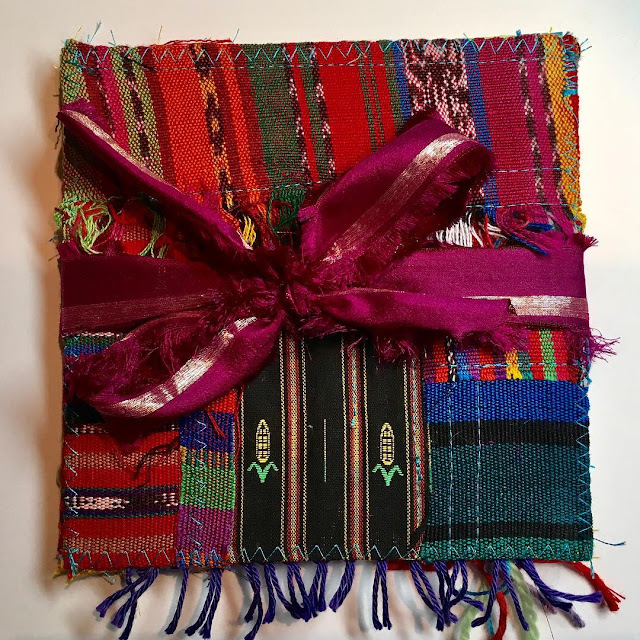 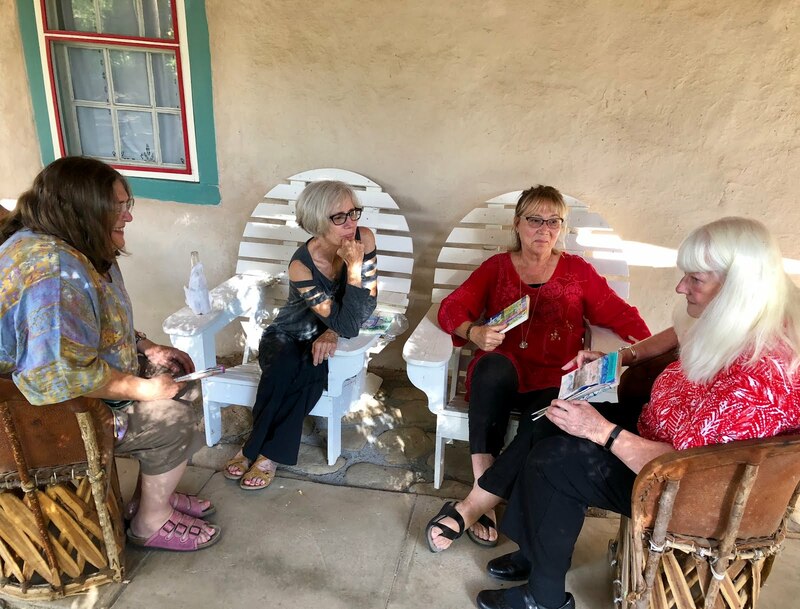 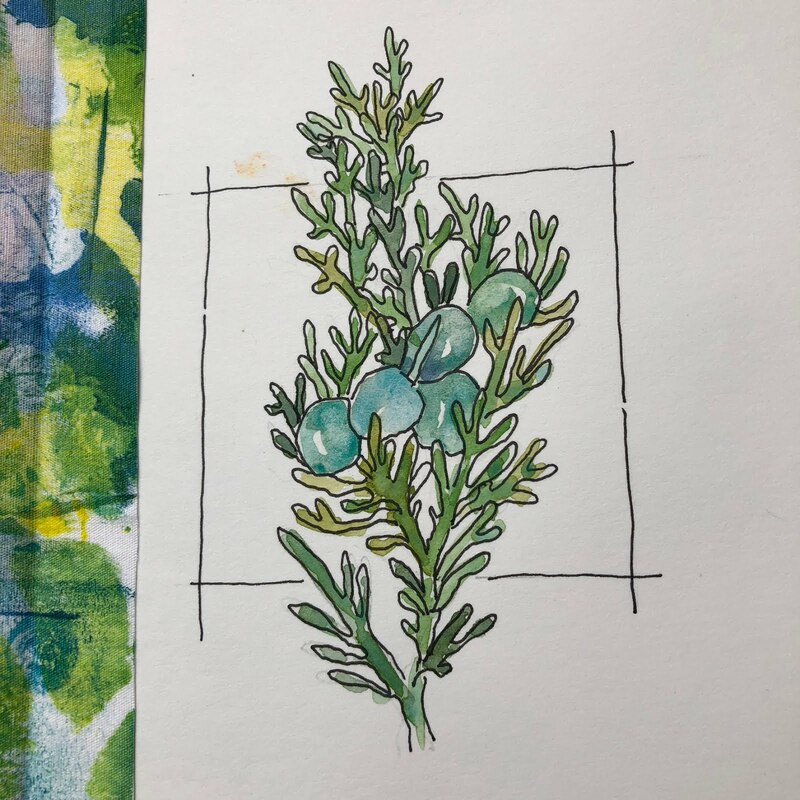 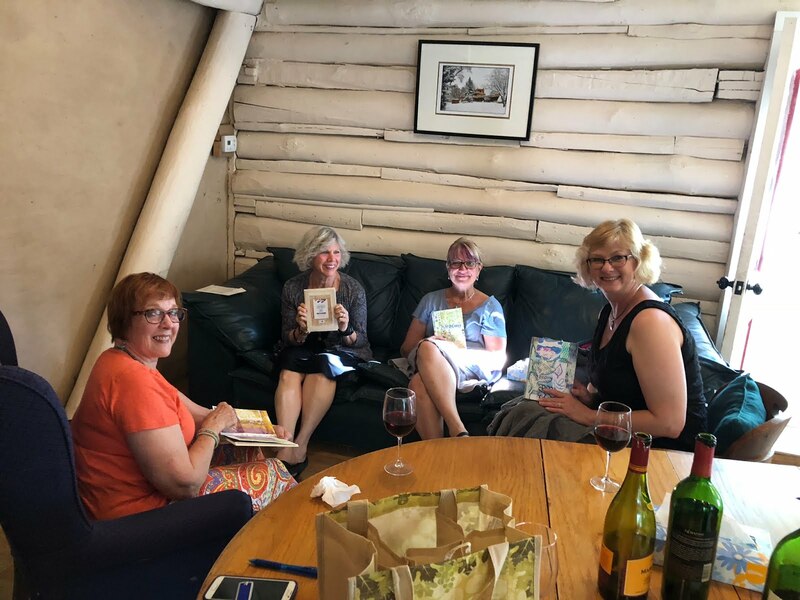 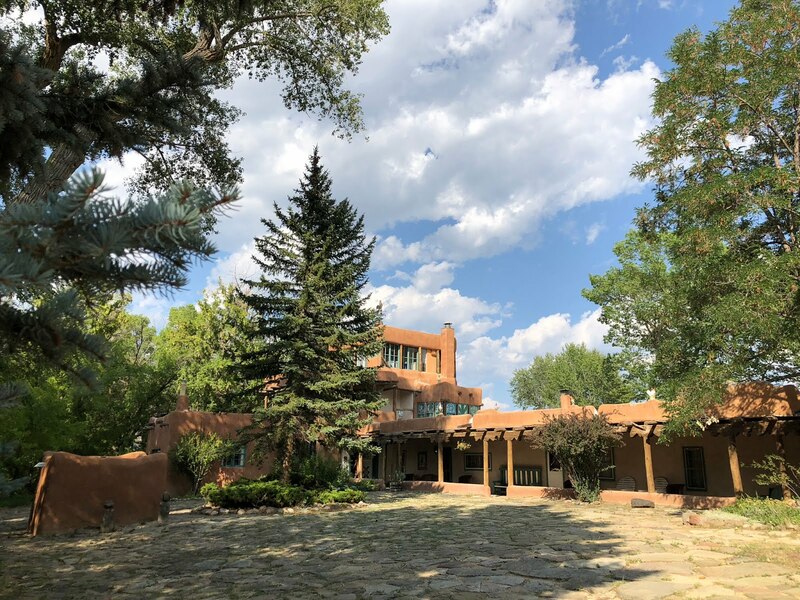 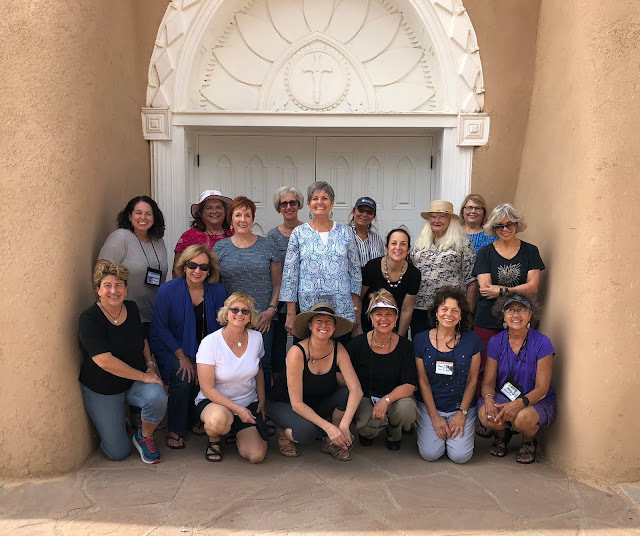 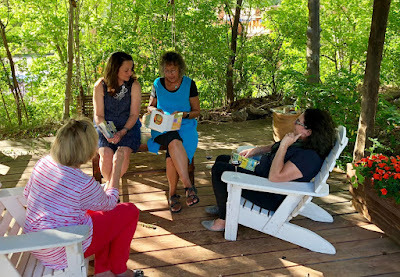 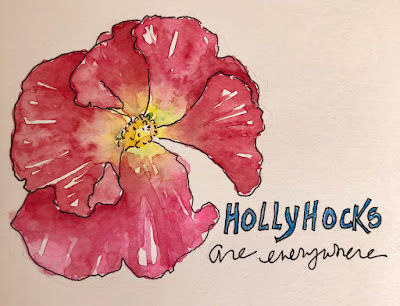 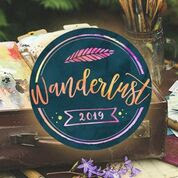 Next year's date for LavenderSage Art Retreat are August 18-25, 2019. 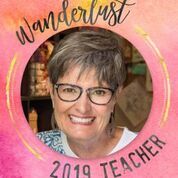 You can sign up here to be notified when registration opens in January, 2019.